The mini budget comes just a day before the start of a three-day investment summit $100bn into the economy, with investors seeking evidence finances are under control. Scouring the planet for $100bn (R1.4trn) in investments for South Africa has become a key mission for President Cyril Ramaphosa ever since he took the country’s top job in February this year. Recently, President Cyril Ramaphosa’s advisor, well-respected economist Trudi Makhaya, told Reuters that $10bn had already been committed from Saudi Arabia, another $10bn from the UAE, and around $15bn from China. Thus far, Ramaphosa has managed, effectively, to raise $35bn (R505bn). 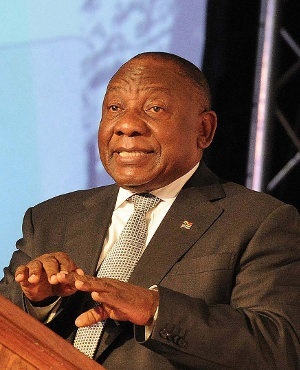 On October 25-27, 2018, South Africa’s government will officially host its 'Investment Summit' (dubbed the South African Investment Conference), another initiative aimed at helping Ramaphosa meet his target. But while Ramaphosa has sent investment envoys across the globe to tap the top financial markets and investors for capital, our president is at risk of missing a trick. There’s been said to be over R1trn in cash just sitting idle on company balance sheets in South Africa. Theoretically, if South African businesses started investing this idle cash tomorrow, it would mean the country would receive a capital injection of around $70bn, helping Ramaphosa immediately surpass his own $100bn target by at least $5bn. This is nice in theory, but how do we achieve this in practice? Well, one answer lies in the already highly-effective and well-regulated investment vehicles waiting to be unleashed in the form of Section 12J funds in the country. Woven into South Africa’s Income Tax Act, Section 12J enables investors to provide much-needed capital to Small-to-Medium Enterprises (SMEs) while receiving an immediate tax deduction equal to 100% of the amount they’ve invested. The end result is that investors in the top tax bracket can see relief of up to 45% on their investments. In turn, their risk capital is also substantially reduced. On the flip side, SMEs — which are the engine room for economic growth — receive a better chance at success and, ultimately, becoming large taxpayers in future. In 2018 alone, just over R3.5bn ($240m) has been ploughed into Section 12J funds in SA. Thus far, this is the highest it’s ever been, but it’s still a small amount when considering how much money is actually sitting idle in the country. This is why we believe Ramaphosa should encourage attendees at this month’s Investment Summit to look closer to home and explore the already-existing legislation and tools to drive up investment in the country. In MeTTa Capital's experience, there is great potential in the 12J space for the local economy. Looking to bring to market a unique, investor-friendly portfolio of funds structure that will simplify the investment process and unlock further investment within the asset class, we have sought to partner with the largest wealth distribution networks in the country, to educate and promote this retail incentive scheme, unlocking idle capital that is better served being invested back into the economy. Government has come up with an incentive through a 100% tax break. In MeTTa Capital's view, this initiative should be promoted so that its mandate is fulfilled. MeTTa Capital I's portfolio included small businesses such as mining-focused CCP, Mdluli Safari Lodge Limited and Westbrooke Alternative Rental Income Assets (ARIA) and has a promised Internal Return Rate (IRR) of 16%. These funds have been invested in these businesses and allowed them to scale, which created a need for further resources, in turn contributing to the broader South African economy. Building on this, we are now in the final phases of launching MeTTa Capital II and we are targeting raising R300m in early 2019. This is capital which, on its own, would make a small but nonetheless helpful contribution to Ramaphosa’s ambitious target. Now just imagine what we could achieve as a country if more local investors opened their eyes to 12J funds. * Darryn Faulds is a Chartered Accountant who is a Fund Manager with Grovest Group’s MeTTa Capital. He has experience in the auditing of large Investment and Private Equity Houses in both South Africa and in San Francisco, USA.